Buchu tea is a sweet and lemony infusion made from a South African herb that is rare and expensive, but it is also healing and detoxifying. It is an herb that has been long used in traditional medicine. How can this tea help you? This is the tea to drink when you need to tackle a mild urinary infection. This cleansing diuretic may help your body expel harmful elements. Come learn more about this nourishing detox tea! Buchu may be found under the Latin name agathosma betulina or as barosma betulina. There are other species of buchu, but this is the most commonly used and is referred to as round-leaf buchu. This is a small green woody shrub that is native to South Africa, although it may also be found cultivated in parts of South America. Today this plant is protected and still grows naturally in the mountains area on the Western Cape of South Africa and in Namibia. The herbs name may appear as Buchu in English, Boegoe in Afrikaans, or iBuchu in Xhosa. Sometimes you may find it under different spellings such as Bookoo, Bucko, Bucco or under the name Diosma. The genus name Agathosma derives from the Greek and means "good fragrance". The buchu plant is in fact a small shrub with stems that reach between 30cm to 100cm tall. Leaves are small, dark green but smooth and thick, and range from 0.5 to 3.5 cm long. There is a pungent fragrance that comes from the leaves resembling peppermint and black currant. The shrubs produce star-like flowers in clusters and are small with white, pink, red or purple petals. Buchu is harvested for its scented leaves, which is where most of the plant's medicinal properties reside and so they may be used to make tea. Buchu had been used for centuries by the indigenous tribes of South Africa for its ability to treat a wide range of illnesses. The Khoi San and Khoi Khoi people were among the first to use this herb for its medicinal properties, but they would also use it during dances and rituals. These tribes would use buchu as an insect repellant or brew it into a tea. They even developed an alcoholic variation called buchu brandy that is still produced and sold today and it is a definite part of their cultural heritage. The first Dutch settlers in South Africa were introduced to buchu by the Khoi San bushmen and then quickly adopted it herb to create their own healing remedies to treat internal and external ailments. The first written evidence of this herb dates back to 1652. In the 18th century, buchu was exported to Britain for the first time and was brewed into what was called "noble's tea" as it was too expensive for anyone else besides the wealthy to be able to afford it. In the 19th century buchu made its way formerly into the medicinal records and books of both Britain and the United States as a potent form of treatment for urinary tract issues. Although it has declined in use, buchu tea is still used today as popular alternative treatment. Today buchu is still grown and used for its medicinal properties. People still enjoy buchu tea for its healing powers. Luckily, it has become easier to find and much cheaper, although a license is still required to grow and harvest this plant. Buchu has found its way into the world of cosmetics and food flavorings due to the strong aroma that resides in these leaves. The scented leaves are used to mix perfumes and used in aromatherapy or pot-pourris. In the food industry, buchu is used for its minty black currant flavor. Buchu is rich in many elements, making this tea a nutritious beverage. It contains a high amount of volatile oils, flavonoids, mucilage, resins, tannins, antioxidants, minerals, such as calcium, chromium, iron, magnesium, manganese, phosphorus, potassium, selenium, silicon, sodium and zinc. It also contains vitamins A, B, C and E.
These elements combine to give you a number of benefits. The most popular use for buchu tea is the treatment of mild urinary tract ailments. Its antiseptic property stimulates urine flow helping to flush out the cause of the infection and possibly reduce pain that you may be experiencing when urinating. You may need to urinate more frequently. Buchu may prove helpful when you have a mild infection in the bladder, also known as cystitis, or in the urethra or kidneys. Make sure to monitor the progress of your illness and do not allow it to get too severe before consulting a doctor. This tea may also help reduce prostate inflammation, bringing relief to incontinence brought on by the prostate disorder. It could also help deal with regular bed wetting and incontinence. This herbal tea nourishes and strengthens your urinary tract. Drinking this tea could also help break up and eliminate kidney or bladder stones. Buchu tea is considered a powerful diuretic, helping to eliminate toxins from your body and reduce excess water. A good cup of this herbal tea is a great way to fight water retention, through increased urine flow and perspiration. This herbal tea is considered a nourishing and antiseptic tonic that cleanses the body of bacterial or fungal agents that may be at the root of some infections or inflammations. It functions also as a stimulant and general nourishing beverage. It also promotes the proper functioning of your liver, a vital organ in your body that keeps it in balance, produces hormones. So drinking this herbal tea may also help you to better recover after a night of too much drinking and a morning with a bad hangover. A cup of buchu tea may also be helpful when you suffer from minor digestive problems. Be careful not to drink too much or it may worsen your condition. This herbal tea may improve your digestion by treating stomach pains and preventing indigestion and heartburn. It is a natural antispasmodic, which means that it may help to keep your stomach calm and relieve nausea. It may also work on the intestinal tract by reducing inflammation of the colon and preventing gas, bloating and flatulence. Reducing spasms may also be a way of easing cramps and bowel pains. Buchu tea may also be helpful when it comes to weight management. If your stomach functions properly and your intestines are healthy, your body is better able to absorb the nutrients it needs and quickly eliminate the substances that are toxic or lead to excessive weight gain. Drinking buchu tea may aid in regulating a number of issues related with your circulatory system. It may help to regulate blood sugar levels keeping them in check from reaching dangerously high levels or rapid drops (hypoglycemia), which could cause you to faint. This tea may also be a tool to help keep your cholesterol level under control and lower high blood pressure preventing the occurrence of hypertension that could lead to heart failure. Although more research is needed, the studies already done seem to be promising. Buchu tea may be considered a reproductive tonic for both men and women. By helping your liver to stay healthy, this tea may help keep your hormones in balance. 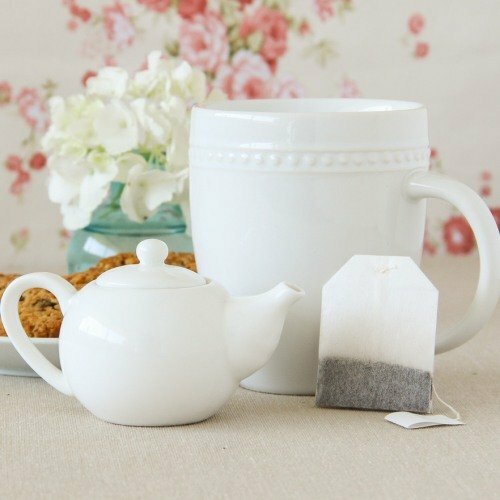 Women may find this tea helpful both before and during menstruation. It has been found that buchu tea may be useful when you experience PMS bloating or cramping. As a uterine tonic, this tea may help regulate your period and reduce cramping during menstruation also. 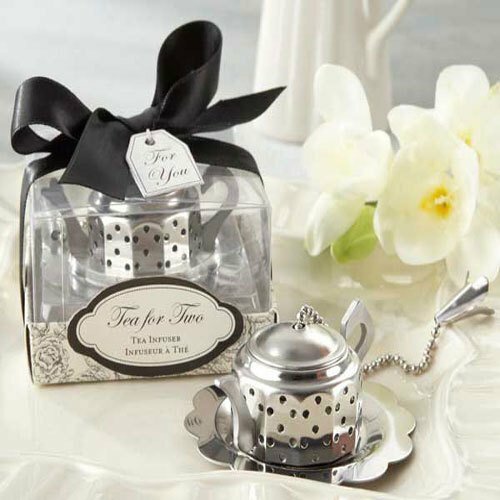 Men may find this tea helpful in the event of low sperm count or even periods of impotence. Buchu infusions may also be used to help treat sexually transmitted diseases such as gonorrhea or other gynecological infections. Make sure to speak to a doctor to be properly tested and monitored during the treatment of your illness. The cleansing action of buchu tea may be important if you suffer from rheumatism or arthritis. Because this tea acts as diuretic it helps to eliminate the toxins (uric acid) that are causing joints and tissues to get inflamed. This tea may bring relief and allow you to control the pain from arthritis and rheumatism. It may help bring down the swelling of joints and relieve muscular cramps. It relieves and strengthens muscles that could be damaged by strenuous exercise. If you are experiencing gout, then this herbal infusion may also be a form of alternative treatment for you. This tea may also help out when you experience respiratory disorders, from simple coughs to pulmonary edema. The way buchu tea boosts perspiration may be also helpful when you have a cold or the flu with fever, as it helps your body to sweat out the microbes and bacterial more quickly. Buchu may be applied externally. This herbal infusion may help clean and speed up healing of bruises due to its antiseptic properties. It may also be used to heal other skin ailments such as eczema and psoriasis. It is said that it may even work as a sunscreen or a simple mosquito repellant. Would you like try buchu tea now? Buchu tea is a powerful herbal infusion and should be treated with respect. If you follow the recommendations from your doctor and head to the following situations, you should be able to reap the benefits of this wonderful tea in safety. Before taking this tea make sure to talk to your doctor about any prior medical conditions that may need to be monitored when taking buchu tea medicinally. Start drinking this tea in small amounts, just one cup per day and then increase until three times a day at the most. This is a strong tea and taking too much may cause stomach problems, including loss of appetite, nausea and sometimes even diarrhea. Some may experience kidney irritation. As this tea functions as a diuretic, it could cause your potassium levels to drop too much and lead to serious imbalances that may be very dangerous. Make sure to eat foods that are rich in this element such as bananas and fresh vegetables. If you are taking any form of medication, talk to your doctor about drinking this herbal tea. It diuretic action may alter your body's ability to properly process medication, such as lithium, and dosage may need to be adapted. Some people may experience allergic reactions to this herbal tea. Symptoms may present themselves in the form of rash, itchiness or swelling. If you feel difficulty breathing, tightness in the chest or throat, then stop taking this herb immediately and go to a hospital quickly. Buchu tea should not be drunk by pregnant women as it is said to stimulate the uterus, increasing menstrual flow, and could cause a miscarriage. Breastfeeding women should not drink this tea unless recommended by their doctor. This herbal tea may reduce your body's ability to coagulate blood. This could make bleeding disorders worse or make a cut or wound bleed much more than natural. To be safe, stop taking this tea 2 weeks before undergoing surgery. If you are suffering from acute kidney infection or disease, do not take this tea unless recommended by your doctor as it may cause swelling or irritation of the urinary tract. It could make your situation worse and become seriously dangerous. Buchu contains pulegone, a hepatotoxic element that could cause liver damage. So if you have a history of serious liver problems, then search for an alternate solution or talk to a doctor first. Moderation and proper medical follow-ups are ideal when taking an herbal tea such as this. Stay safe and be healthy. Let's make the most of this herb by learning how to make buchu tea. Buchu tea is usually made using either fresh or dried leaves. 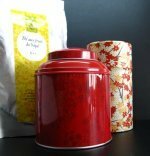 Some versions of this herbal tea also include the flowers, seeds or bark of the buchu plant. Begin by bringing water to a boil. Finely chop fresh buchu leaves and then place one teaspoon of fresh buchu leaves per cup of water in a teapot. Pour the boiling water over the herb. Let your tea steep for about 10 minutes and then strain it. Remember not to let the buchu leaves boil. Buchu tea has a strong flavor and aroma. It is considered to have a pleasant and refreshing mint-like taste. If you wish, you may always add honey to sweeten your tea or a bit of lemon juice to add some zest. It has a smooth and clean aftertaste. You can drink this tea up to 3 times a day. Stay within the recommended dosages and follow the advice of your doctor or nutritionist. You can enjoy this tea as an iced tea, just remember to not overindulge in the summer, letting the thirst forget that you should not drink too much of this tea. Some people find that buchu is great to enhance the berry flavor of other beverages and use this herb to boost the flavor of cool drinks. Crushed leaves may be added to broth or thin soups, but should be strained when serving the dish. When making this tea to treat bladder infections or reduce water retention, you may blend it with other similarly diuretic herbs such as couchgrass, corn silk, cranberry, cleavers, dandelion, goldenrod, parsley or uva ursi. Buy Your Buchu Tea Today! Click on the image or on the link below to purchase from Starwest Botanicals your Organic Buchu. 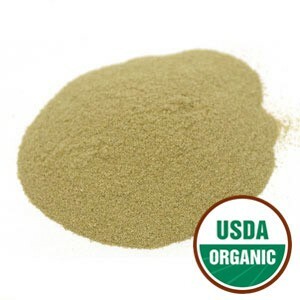 You can find here Organic Buchu leaf powder from South Africa to make your healing cup of tea. Brew a cup when you need to treat a mild infection, to calm your liver and strengthen your defenses against illness. Buy your Buchu tea now! If you are suffering from a mild infection or inflammation, then consider drinking buchu tea to begin your healing process. May this be the right tea for you!